Police Scotland have vowed to crack down on bin fire vandals in Netherlee. 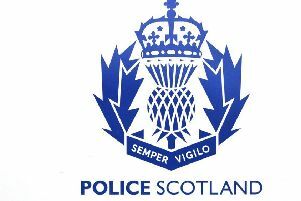 Chief Superintendent Brian McInulty has said the force will take action on those who steal and set wheelie bins alight in the area. It comes after a row over where refuse operatives collect bins erupted at a meeting of East Renfrewshire Council last month. Residents had reported cars catching fire as a result of bin blazes, blaming the fact that bin workers won’t go down lanes to collect rubbish. Councillors claimed that taking lorries into the lanes posed health and safety risks. Mr McInulty said: “I remain totally focused on doing everything possible to drive down crime and maintain record high levels of detections. “In terms of disorder and antisocial behaviour figures should a still significant rise compared to last year. “We are currently working with our partners in Scottish Fire and Rescue Service tackling the thefts and subsequent setting on fire of wheelie bins in the Netherlee area of East Renfrewshire. At April’s full council meeting, angry Netherlee residents shouted “shame” after councillors refused to overturn a rule which prevents bin lorries from entering lanes across East Renfrewshire. It came after Councillor David Macdonald told of how wheelie bins were regularly stolen and burned in the area. He also pointed to an incident where fire was set to three bins, with the blaze then writing-off two cars. Mr Macdonald claimed that one constituent of his had lost around £3,500 due to the damage. He argued that lorries should be allowed to enter lanes so that residents didn’t have to drag their bins 50-100 metres to a collection point.